A brilliantly pink liqueur, you may not expect that Sweet Revenge has an American whiskey base. It's a fun mixer that has a sweet strawberry flavor. It's excellent for simple cocktails like the strawberry cure, which was created for Breast Cancer Awareness Month in October. This recipe offers an ideal introduction to the liqueur because it allows the strawberry to shine relatively uninhibited. You'll simply dress it up with a little club soda and lemon juice. And, though the sugar rim is optional, it does add to the experience. It's a fun and easy mixed drink, perfect for any pink-themed party or whenever something delicately sweet is in order. If desired, rim an old-fashioned glass with sugar by rubbing a lemon wedge around the rim, then dipping it into a small plate of sugar. Fill the glass with ice and build the ingredients, adding the liqueur, club soda, then lemon juice. Once you open a bottle of club soda, it will go flat in less than a day, even if you seal it up tight. To prevent this and ensure that your mixed drinks are as effervescent as possible, consider using smaller bottles that hold enough soda for just a few drinks at a time. Fresh lemon juice is going to create a better-tasting drink. Fortunately, you can just squeeze a little juice from half a lemon, so there are no special tools required. Use the remaining fruit to cut your garnish. If you want a pop of color on the rim, use food coloring to turn your sugar pink! The method for coloring sugar is easy, though it's best to let it rest overnight so you will need to plan ahead. This sweet strawberry liqueur is a good addition to any bar. 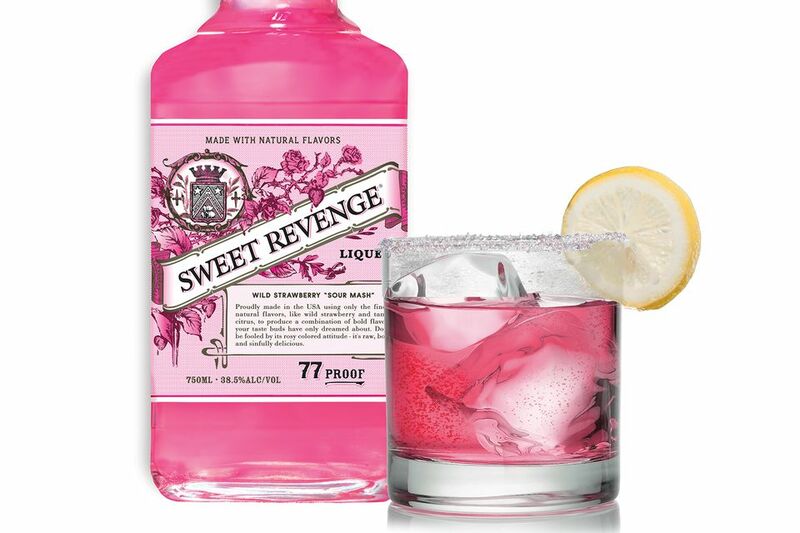 Made with sour mash and natural fruit flavoring, Sweet Revenge is a fun spirit that can easily become your regular strawberry liqueur to use in a variety of cocktails. You'll find that it's not too sweet and will appreciate its natural wild strawberry flavor, which is fabulous with fresh-squeezed lemonade or straight and chilled as a sipper. It's definitely a nice alternative to many of the super sweet strawberry liqueurs on the market. Sweet Revenge is produced in Philadelphia, Pennsylvania, was first released in 2012 and is bottled at 38.5 percent alcohol by volume (77 proof). Transform the strawberry cure into a sparkling, spiked strawberry lemonade by adding an ounce or two of homemade lemonade. If you run out of club soda, make this drink with any other light soda. Ginger ale and citrus sodas are perfect and will not alter the flavor too much. For a fun change, switch to a cola instead and you'll have a Sweet Revenge and cola. Add a flavored vodka to give this drink an extra kick. Grapefruit and raspberry are two excellent options. How Strong Is a Strawberry Cure? Despite its bold flavor, the strawberry cure is a gentle cocktail. The mixed drink has an alcohol content around 11 percent ABV (22 proof), which is similar to a glass of wine. Do be careful, though. Sweet drinks like this can trick your taste buds into wanting more and a few rounds can add up, leaving you a little more intoxicated than you may like.